The ultimate performance stack. Two key products that combined increase energy and performance during workouts. Giving you the advantage of being able to go stronger for longer. Pre-Workout increases energy, focus, and endurance. Creatine helps increase strength and power. *Visit each individual product page for more information on each product, key features, and more. Very clean but strong buzz. It’s also nice to know that the substances you’re putting into your body are clinically tested and natural. Great item! Love the creatine. I ordered this pack together and NF sent me a gift supplement with it. Appreciate that. They have excellent supplements. Creatine gives results and preworkout works good and no side effects after finishing a workout. Creatine is great. Blends well, and it actually works, which is hard to find these days! Pre-workout isn’t my favorite. The strawberry lemonade flavor is pretty bitter, and I can’t tell if it works or not, as you can with other pre-workouts that I’ve used. I started usind the bundle a week ago and started to feel the progress! Faster reps, less fatigue and no side effects. Nice containers with good info, definitely NF Sports give confidence. Very agreeable light taste of all the products. Mix well with each other. The preworkout sometimes gives me the itchies in my fingers. I didn't check the label but assume some niacin. How should I take these supplements? Beginners - 1/2x scoop of Pre-Workout*, 1/2x scoop of Beta-Alanine**, and 1/2 scoop of Creatine***. Intermediate & Advanced - 1x scoop of Pre-Workout*, 1x Scoop of Beta-Alanine**, and 1x scoop of Creatine***. *Pre-Workout contains 3g of Creatine and 1.5g of Beta-Alanine in 1x Scoop. 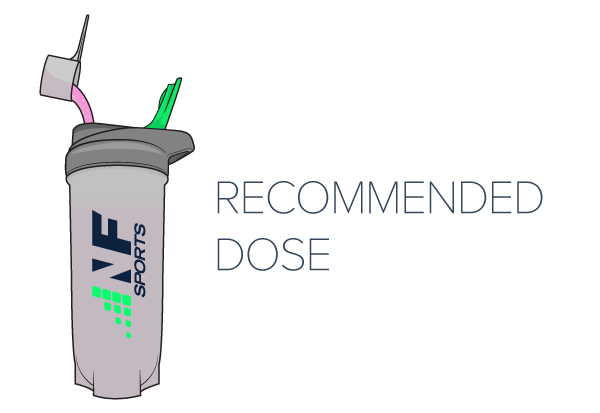 **Beta-Alanine's recommended daily dose is 3.5g, advanced users can consume 5g daily. ***Creatine - Start week 1 as a loading phase taking 5g prior and 5g post training. Then continue taking between 5-7g daily, even on non-training days.